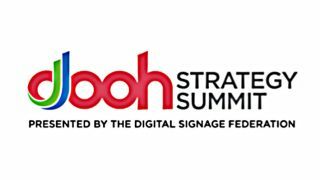 Digital Signage Expo (DSE) will host an all-new, full-day, nine-part Digital Out-of-Home Strategy Summit on Tuesday, March 27, at DSE 2018, to be presented by the Digital Signage Federation. To be presented by Kym Frank, President of Geopath, who will discuss the DOOH measurement ecosystem, including the strengths and weaknesses of available data sources and methodologies. To be moderated by DSF Board member David Haynes, panelists will include Christie Rice, Marketing Manager of Digital Signage for Intel, and Dina Townsend, Vice President and Retail Practice Leader of RMG Networks, Manolo Almagro, Managing Partner of Q Division, and Stephen Freitas, Chief Marketing Officer for Outdoor Advertising Association of America. To be moderated by Paul Fleuranges, Director of Corporate Initiatives for the New York Transit Authority, panelists will include George Burciaga, Managing Director of Global Government Development & Innovation for CIVIQ Smartscapes, Jeff Frazier, Chief Strategy Officer, Smart City Media, and Romulus Stoian, Senior Manager, DOOH Marketing Solution Leader for Samsung SDS America. To be moderated by Chris Lydle, Global Lead, Digital Signage nd Kisosk for Google, panelists will include Doug Pittman, Founder and CEO for BoardActive, Ian Dallimore, Director of Digital Innovation and Sales Strategy for Lamar Advertising, Chuck Billups, Senior Vice President of Brand Advertising and Retail Partnerships for PRN – a STRATACACHE Company, and Mikhail Damiani, CEO of Blue Bite. Lunch and Learn: Just Because We Can, Should We? How Safe is the Data and Our Privacy? To be moderated by Laura Davis-Taylor, Co-Founder of the High Street Collective, panelists will include Kym Frank, President of Geopath, Jeffrey Martin, President and CEO of Right Media Solutions and Gerardo Garcia Stackpoole, Founder and CEO of Wunder. Today, FIA uses Internet advertising to display official child abduction alerts and tornado warnings across devices throughout the United States to those in the alerting area. FIA can extend its online distribution of life-critical alerts to help authorities reach people in the alerting area through improved availability and use of Common Alerting Protocol (CAP) for imminent threat alerts all over the world. This will be presented by Jason Bier, President of Federation for Internet Alerts. To be moderated by Sheldon Silverman, CEO and Founder of SmartBomb Media Group, the panel will include Susan Danaher, Founder & CEO of the Danaher Group, Chris Ferranti, Senior Vice President, Managing Director, U.S. of Rapport Worldwide, and Travis Macionsky, Vice President and Director OOH for Horizon Media. To be moderated by Stephanie Gutnik, Vice President of Business Development for Broadsign, the panel will include speakers from TINT, Esprit Digital, Quividi and the end user. To be moderated by Philip M. Cohen, President and CEO of CMN Holdings, panelists will include Eric Lamb, Director of Publisher Solutions for Vistar Media, Dan Levi, Executive Vice President and Chief Marketing Officer for ClearChannel Outdoor, Stephanie Gutnik, Vice President of Business Development for Broadsign, and Ian Mirmelstein, Senior Vice President of Digital Innovation for Adspace Networks.